Price Action Trading With Using Engulfing Candlestick. 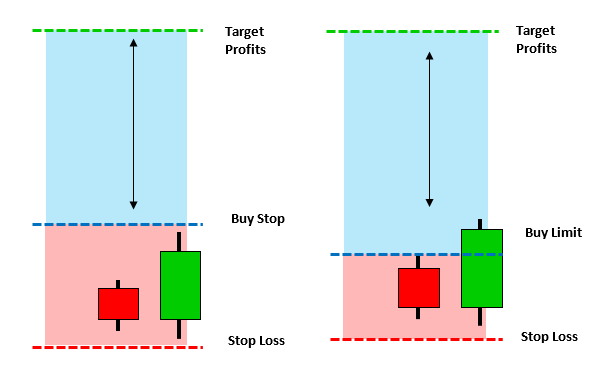 Trading forex price action with candlestick. 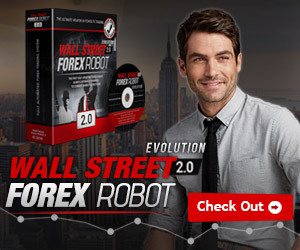 There are many types of forex trader. 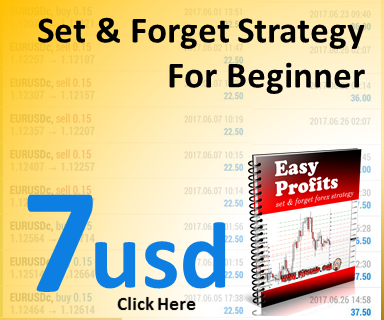 But this style of forex trading is about trading with candlestick. 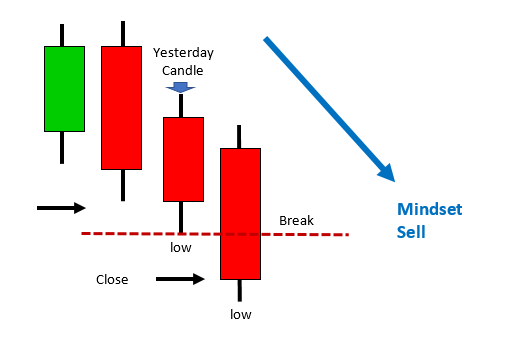 With the candlestick itself, there are few information that you need to know and use it to trade with price action. The Bullish and Bearish Engulfing Candle is the strongest reversal candle that i like to use. 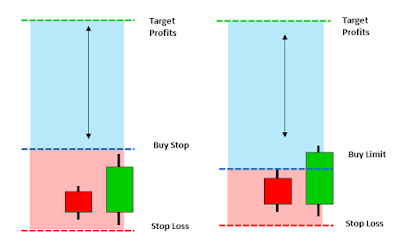 Before Start to trade forex with price action, you need to know and understand what is inside the forex candlestick. This information known as OHLC that is Open High Low Close of the candlestick. 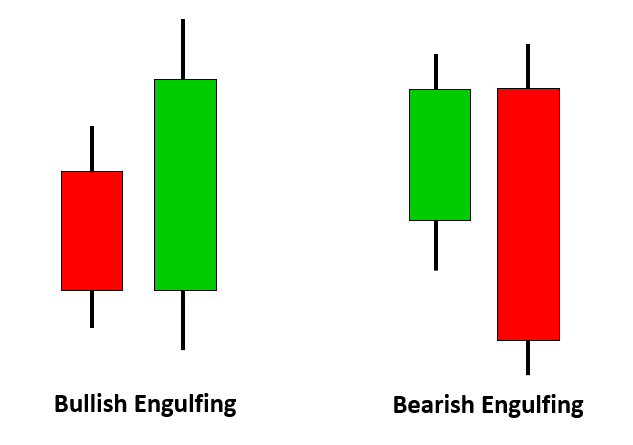 This information use to determine the confirmation of bullish and bearish engulfing reversal signal. 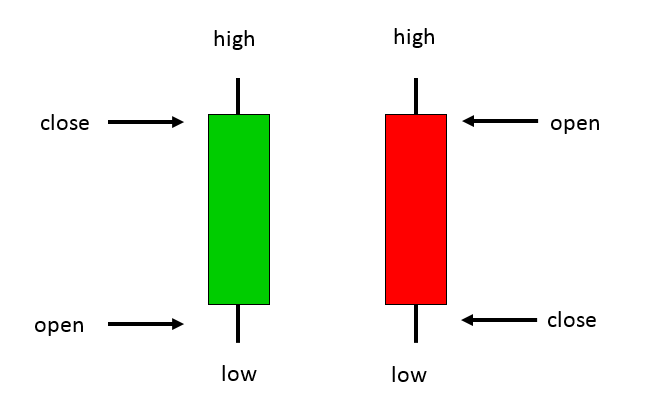 There are many type of candlestick reversal signal in price action trading. They are, pinbar, bullish and bearish engulfing, morning star, evening star, hammer and shooting star. But, with this engulfing candle the direction and trend confirmation are reliable with the bullish and bearish engulfing. 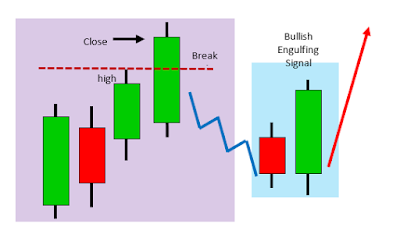 In order to confirm that the bullish engulfing signal is correct is to follow the rules. The second candle close is break the high of the first candle. What you should do is to wait for the candle closed and look for buy. For the bearish engulfing candlestick, it is vice versa. The second candle close must break the low of the first candle. Then you have to wait for the candlestick to close to look and confirm the sell signal. Step to trade Bullish Engulfing and Bearish Engulfing Candlestick. 1 Look at Daily Candlestick Chart to determine the trend. 2. Mindset, If downtrend look for sell, if uptrend look for sell. 3. Look for the Bullish Engulfing (uptrend) and Bearish Engulfing (downtrend) at the H4 chart . 4. Wait for the engulfing candlestick to close at H4 candlestick chart. 5. Set pending order buy and sell. How to determine market trending,for uptrending, you have to look at the daily candlestick. Open the daily candlestick chart, look at the yesterday candlestick. What you need to know is to look for the yesterday candle break the high previous candlestick. If the yesterday close candle break the previous high candlestick. It is confirm that the trend is uptrend. What you need to do is to look for the buy opportunity. Mindset is Buy. 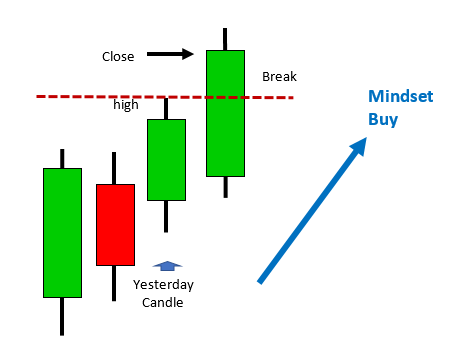 When the trend in daily chart is uptrending, only look for buy signal that is Bullish Engulfing Candlestick Signal. The Engulfing Candlestick have to be found at H4 chart candlestick. 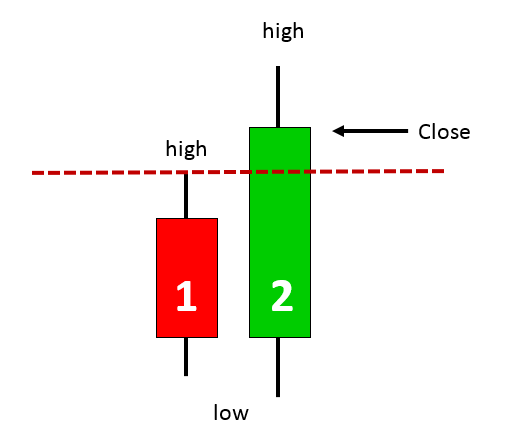 In this case, you are trading with uptrend market trending and with the price action Bullish Engulfing Signal. Please be remember that in price market movement, there will always be market retracement. 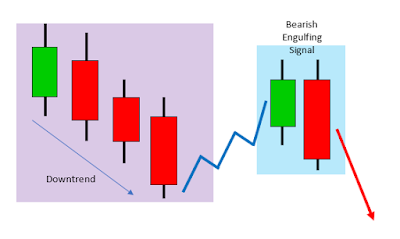 Therefore, find the Bullish Engulfing Candlestick after the market retracement ended. How to determine the market trending. This goes the same with looking at the trend on uptrending market. Open the daily candlestick chart. Look for the yesterday candle, is it pass the low of the previous candle?if it pass, you will only need to find the sell opportunity. In this case, the trend is downtrend, and you will only look for bearish candlestick signal. After finding the major trend in daily candlestick chart. What you need to do now is to find the Bearish Engulfing Candlestick Signal in 4 hour candlestick chart. Please be remember that the price tend to bounce before continue downtrending. In price action trading, this is called retracement. The best entry is to find the bearish engulfing signal at the end of the market retracement. There are two ways of entry in engulfing candlestick signal, that is aggressive and passive entry. The aggressive entry is when you found the engulfing candlestick, wait for it to complete and start to execute order, buy or sell. Buy Stop is 10pips from high second engulfing candle. 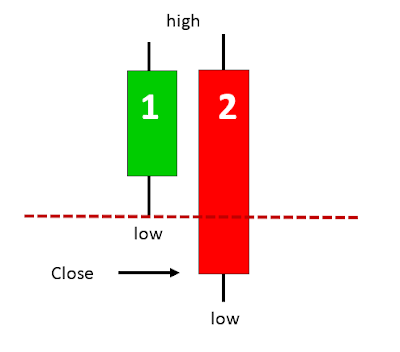 Stop Loss is 10pips from low from one of the 2 Engulfing Candlestick. Maximum Stop Loss is 50pips. Target Profits is set Double or Triple from the risk. 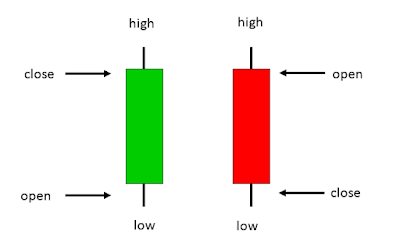 Buy Limit is from high first engulfing candlestick. Bearish engulfing setup is same like bullish engulfing setup but with the opposite direction. 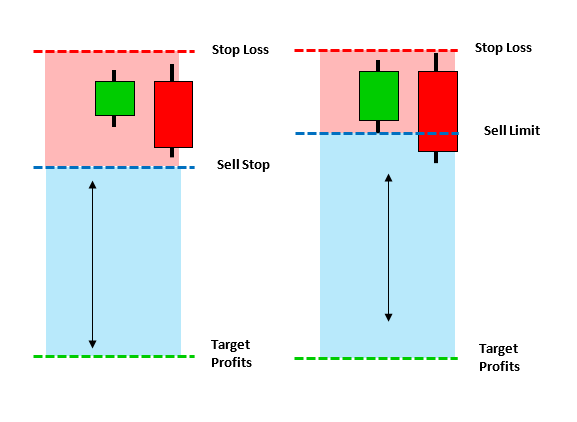 First entry is sell stop pending order, second entry is sell limit entry order. Sell stop 10pips below low of the second engulfing candlestick. Sell Limit is at the low of the first engulfed candlestick. 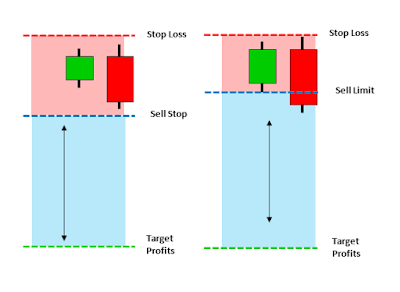 Stop loss is 10pips from the high engulfing candlestick. 50pips maximum stop loss. Target profits will be double or triple from the risk taken. If it 50 pips then you reward would be 100pips. 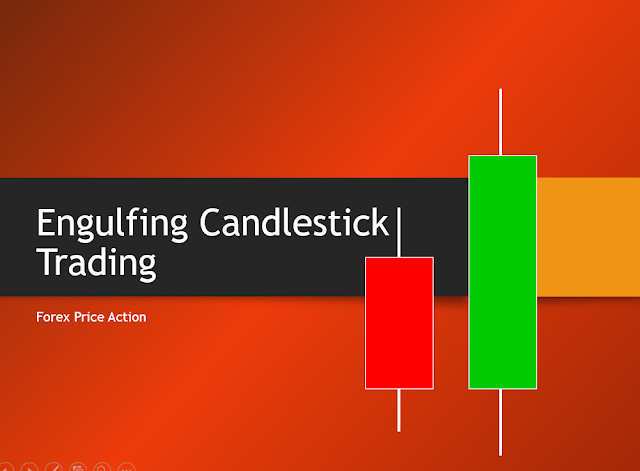 You can download the pdf ebook bullish and bearish candlestick trading on below link.